Five Valleys Land Trust is working to create new protected open space and public recreation opportunities on more than 4,200 acres across Mount Dean Stone, above Missoula's south side neighborhood. 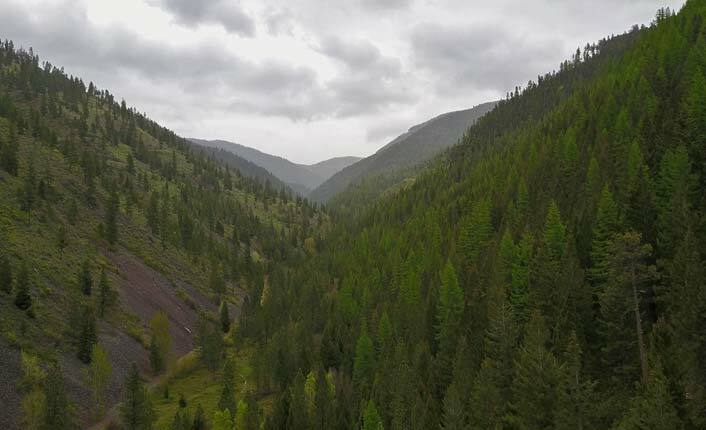 The effort seeks to create a connected complex of open space lands between Pattee Canyon and Miller Creek. The timbered draws and grassy slopes of the proposed complex offers the community a huge opportunity to expand access to trails and outdoor recreation while protecting important wildlife habitat and mitigating the risk of wildfire close to the urban fringe. When complete, the project will create a 180-degree arc of conservation lands around Missoula. The project will double Missoula's current open space. Photo by Jahrig Media. “Fundamentally, this is conservation serving our community goals. This community wants more trails and more access to outdoor recreation out the door. The trails we currently have near town are a core part of our unique quality of life, but they are increasingly crowded and predominantly on the north side of town. Our community is anticipating massive growth in the decades ahead and this is a chance for our open space infrastructure to keep pace with growth and maintain our quality of life and sense of place” said Grant Kier, former Five Valleys Executive Director. The Mount Dean Stone project is a multi-year effort, and has been broken into three phases. Five Valleys' 2015 acquisition of the South Hills Spur, a grassy, sunny bench that overlooks Pattee Canyon, constituted Phase I of the project. The South Hills Spur was transferred to the City of Missoula's ownership in December 2016. Phase II includes an option to acquire 2,500 acres across the mountain's southeastern flanks from The Nature Conservancy, that is in a checkerboard ownership with Montana DNRC parcels. While Five Valleys raises the needed funding to acquire this parcel, The Nature Conservancy is generously allowing public access to this rugged and scenic parcel. Learn more in our latest access update. Phase III of the project includes additional options of land or easements acquisitions with multiple private landowners, that, when complete will create a contiguous Mount Dean Stone complex. The rugged and scenic The Nature Conservancy parcel stretches over 2,500 acres. Photo by Jahrig Media. The Mount Dean Stone project is bigger in scope than the acquisition of Mount Jumbo twenty years ago, and will permanently secure, enhance, and expand the recreational opportunities for the community. The massive project would not be possible without the collaboration of our many partners, including The Nature Conservancy, the City of Missoula, Run Wild Missoula, MTB Missoula, Hellgate Hunters and Anglers, Backcountry Hunters and Anglers, in addition to many partnering private landowners and dozens of community members. “It’s fantastic that more people are getting outside to enjoy our amazing quality of life here. It’s a testament to our exceptional open space program. We’re also seeing user groups including runners, mountain bikers, and equestrians get more enthusiastic about engaging in trail stewardship and planning. The scale of this project is huge, and it’s going to take all of the folks who love trails coming together to make it work—we’re looking forward to facilitating that process," says Richard Jeo, State Director for The Nature Conservancy in Montana. 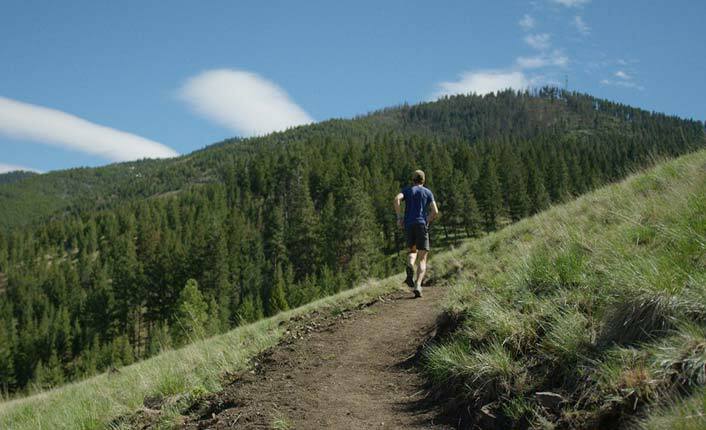 Mount Dean Stone will serve as a recreational area for a part of town without much access, and has the potential to become a cornerstone of Missoula’s south-side neighborhoods much like Mount Jumbo and the Rattlesnake recreation areas are for residents in the northern end of Missoula. The price tag on the project is expected to be about $4-4.5M over three years. A huge part of what is making this project work is the generous donations of land value from landowners. Most of what Five Valleys is proposing to acquire will be purchased for half of the market value or even less. Five Valleys is also working hard to only acquire land in fee that is absolutely necessary and to do as much as we can with conservation easements, which adds even more savings. In a few cases, landowners have outright donated easements. Read more in our latest project update. And learn what Mount Dean Stone could mean for the Missoula community in the video below. "There's so much value for the community in having these public spaces. I think about what Missoula would have been like without Mount Jumbo, Mount Sentinel and the North Hills. I would love if in ten years people are saying, 'What would Missoula have been like without Mount Dean Stone?' It's an ambitious project, but it's worth it." - Mike Foote, Five Valleys board member and community member.